Which form of storytelling help makes the most sense for you? If so, your best bet may be individual coaching. I will coach you over the phone, via Skype, or in person. Storytelling is natural. The problem is that we pick up misconceptions in school, at work, and online. 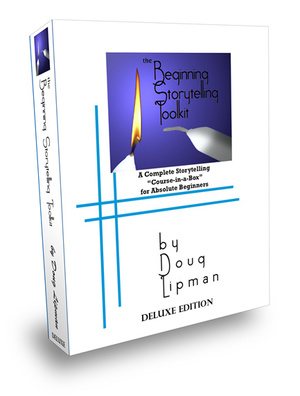 The Beginning Storytelling Toolkit™, available in hard copy or online, sets you straight in 4 recorded lessons. I CARE ABOUT STorytelling. HELP ME BE THE BEST I CAN! The Storytelling Workshop in a Box™ takes you through 37 recorded talks about all the key topics in performance storytelling. Each talk comes with exercises to help you apply what you've learned. It is available online, either all at once or by a monthly subscription.